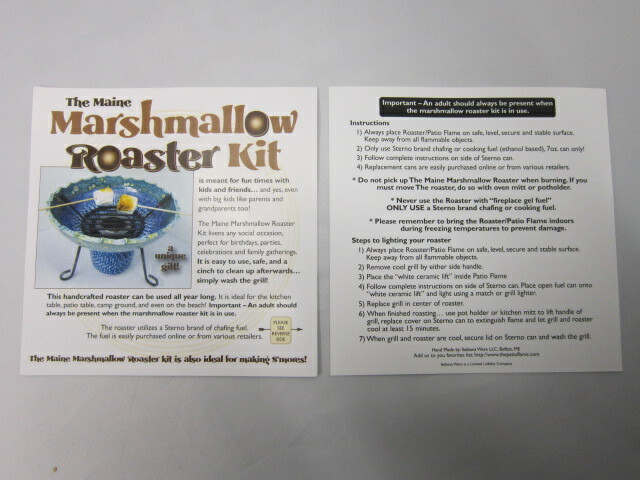 The Maine Marshmallow Roaster Kit is meant for fun times with kids and friends.....and yes, even with big kids like parents and grandparents too! This roaster livens any social occasion, perfect for birthdays, parties, celebrations and family gatherings. 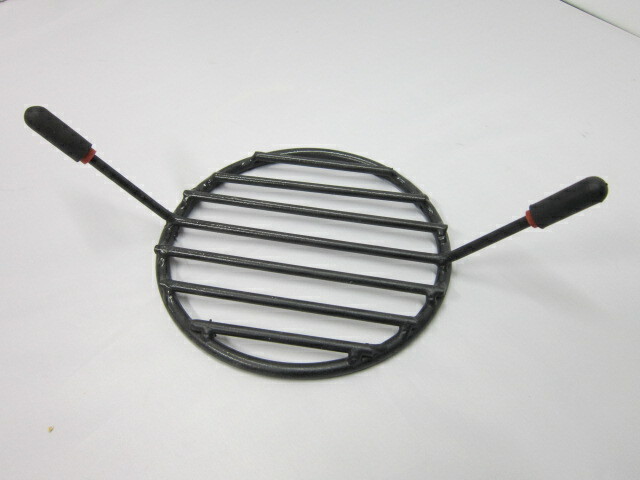 It is easy to use, safe and a cinch to clean up afterwards....simply wash the grill! This handcrafted Roaster can be used all year long. 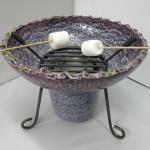 It is ideal for the kitchen table, patio table, camp ground and even on the beach! 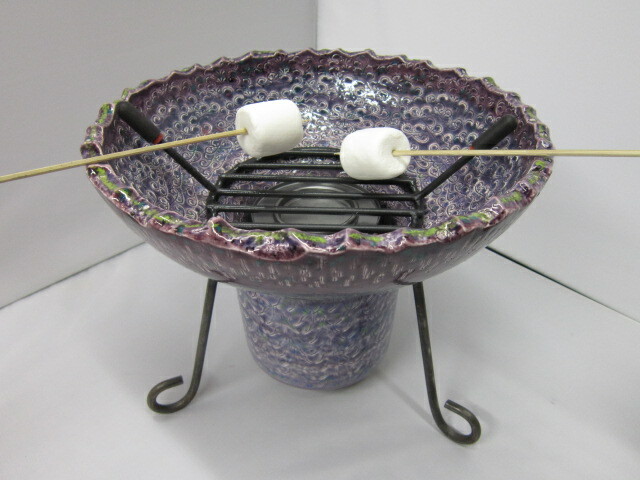 The Maine Marshmallow Roaster Kit is also ideal for making S'mores. COMPLETE INSTRUCTIONS are included...easy to use! packing and shipping fee ! if you have any questions....to place your order, please have your shipping information ready. I accept MC or Visa. great fun to use when friends visit or for that special event! Readily available from various retailers and also online. 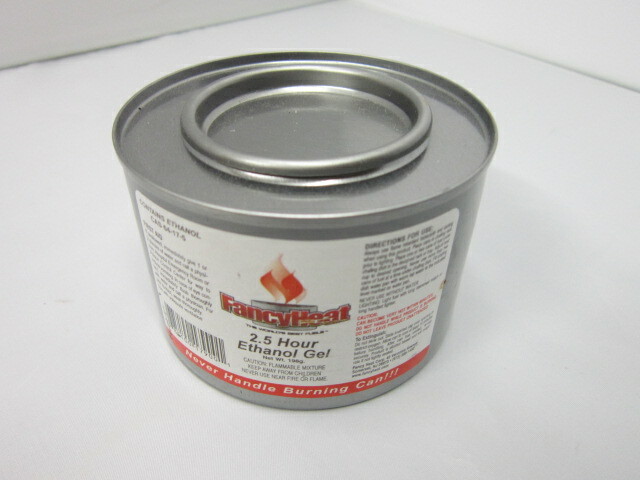 Price generally $2.00 per can for 2 1/2 hours burn time. STERNO BRAND is fine to use. Caution: Only use pure ethanol fuel !